It is easy to become stagnant, to fall into a rut of doing the same thing over and over with your business without looking to see where you can improve processes and change systems to both grow your business and to challenge yourself along the way. This helps me to fear it less and look at it as something that will improve my business and myself. Let’s look at what the breakdown gives us. Your original ideas, don’t think what you thought of at the beginning will still be relevant now. Things change over time and your business needs to be adaptable to this. Just because something worked when you first started your business dos not mean it will still work 6, 12 or 24 months down the track. 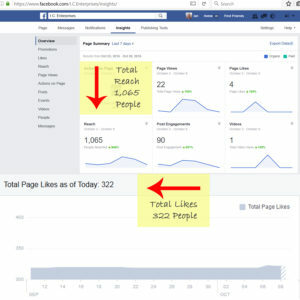 Constantly watch your statistics and you can then see if there are areas of your business that needs a change. Vigilance is a necessity in pinpointing where your current systems and processes are letting you down, what requires improvement and areas that just need to be started over all together. Without being able to see this, you may not find any issues with your business before it is too late to rectify them. A new plan, one that encompasses where your business is now. There is always room for improvement in any system, find yours and create a new plan to address it. Think outside the box and consider making a new plan, or at least updating your original one fairly often. Things change quickly in business and if you do not change with it you can be left behind. Planning is a great way to focus your efforts on improving your business as you expand, but you need to be flexible with it and adjust your plan to succeed. Analyse everything, without getting too obsessed by it. If you make a change then you should be checking to make sure it has been a positive one. If you do not keep your eye on how your systems and processes are working, the positives and negatives of each, then you may be wasting time and resources on things that are not actually helping you to get where you want to be. Keep your eye on the smaller parts of your business model whilst remembering to watch the overall objectives and change things when you need to. Negate all that you hold as emotional when it comes to your online presence. Unfortunately, it is not about you, but about your visitor. Building a business based on what you want is all very well and good, but first and foremost your business must appeal to your potential customers. Don’t get caught up in an ego driven “It MUST be done this way because I like it” mentality, but rather use research and analytic s to guide your business to be customer focused instead..
Growth is always a good thing, so long as your business has an expansion strategy. The more successful you become in growing your business, the more you need to watch and change your processes to keep up with the additional demands. Make sure you grow slowly and surely to keep up with any new orders you get. Explore opportunities both online and off-line. We can get caught up in doing everything online and completely miss opportunities in the off-line marketing area. Don’t be afraid to change up your marketing to include printed flyers and letter box distribution. Getting your business in front of the right people may not be as effective as you think online. Unless you change your strategy you may miss your ideal customers altogether. Don’t be afraid to try things that you may not have thought of in the past, you never know where your big break will come from. Change doesn’t have to be negative, and sometimes it is just what we need in our business to move things upwards. 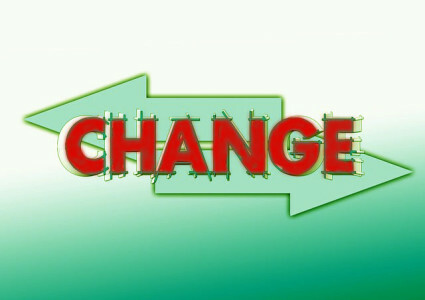 What are your thoughts on change in a business sense? Have you made any changes that have helped your business to grow? Please let us know in the comments. I identify with your post this week, Ian. 2015 has been a very interesting year for me with lots of non-work related events taking place that have created space for me to reflect on where I am going and whether it is still aligned with my vision for myself and my business and the result is ‘CHANGE’. The result so far has been 4 Kindle books on personal and professional development and my plan to return to business and finance coaching next month because that is my true forte and area of expertise. It doesn’t mean I will abandon my career coaching following but will serve them in a different way while I allow myself to grow. Thanks for validating my thoughts and feelings. Exactly what we are going thru. After 2 years with our webdesigner/coach we decided our site needed tweeking.Many calls later we finally gave in that the experts know best regarding what colors convert better & we are not getting the combination we prefer. The same with our logo and a zillion other details. We continue to say go with what has been proven to work for others. Analitics doesn’t lie. So we are not attached, gave up emotionality and we will see a revised site soon. I tend to think most businesses go thru revisions & look at change at years end . Change is necessary, yet often we resist it both in our business and personal lives. I like how you broke it down and offered very clear ways to approach each of the five areas you describe. The analyze point makes a lot of sense to me. Question and re-question to get to the best solution. And of course, challenging ourselves is always a great way to grow outside our current comfort zone. By being open to change, we are inviting opportunities in, that might not have shown up otherwise. Enjoy the change it appears you are going through now with your own business, Ian. My change is the way I do my planning. I’m not setting major long term goals and leaving it at that. I’m breaking them down into 6 months, then break those down into 3 months, break those down into monthly, then weekly, then daily. Now I can track much better, figure out what’s working, what’s not and adjusting as I go. Sounds like a lot of work, but after 15 minutes I was just flying with it. Having daily goals that essentially lead to my long term goals is working for me and this was a change that I was putting off for the longest time. Love this post Ian!! Change is a scary concept – and you’ve hit so many areas that we all struggle with.I am in the change / hatch phase for my business right now – looking at how I’ll be changing things up and putting a plan together. I also really like that you included the emotional side of things in this post with negate phase – it is definitely not about us, but our clients. Great insight. Love the break down of change! In our 2 years of business we continue to learn the importance of embracing change. We must embrace change in order to grow, for our business to grow. The biggest change for me is honing in on my target audience.